Gorgeous in color, Blue Apatite is a striking mineral that is rarely used in jewelry due to its relative softness. As an artist’s pigment, though, it’s fantastic – a dense, rich midnight blue that granulates magnificently on cold- or hot-press papers. 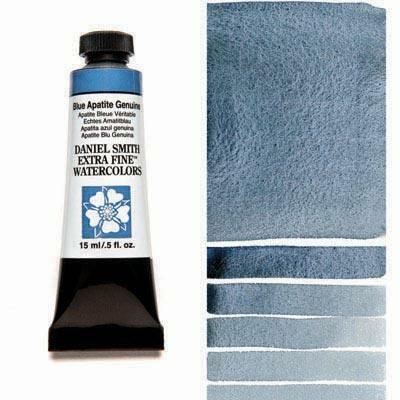 Within a wash, nuances of color are revealed, from inky near-black to rich Prussian-like blue. Create a stormy sky in one juicy stroke!